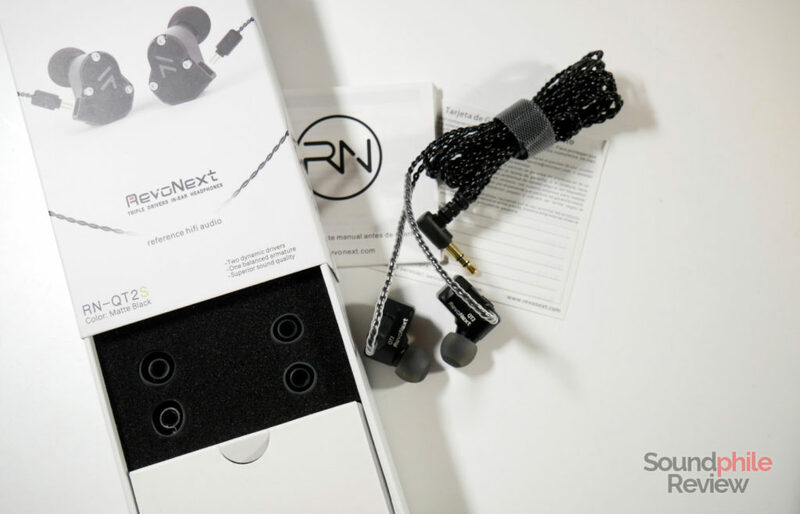 After some great success with their QTx in-ear headphones, RevoNext launched an updated version of those same earphones. The RevoNext QT2s are an incremental (and pretty much aesthetic) upgrade over the previous QT2, one that actually does not bring much to the table in terms of new features. As the QT2s is just a minor upgrade of the QT2, I will not write a full review, instead concentrating on the differences between the two. 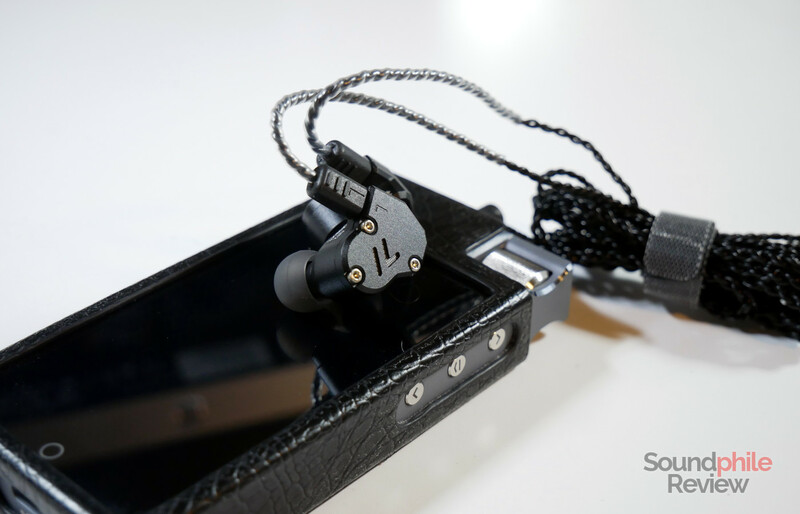 That’s why I invite you to read the RevoNext QT2 review to have an overview of those earphones. Disclaimer: I received the RevoNext QT2s from Linsoul Audio as a free sample. Packaging did not change at all, but accessories changed significantly. The cable is completely new – more on that later. 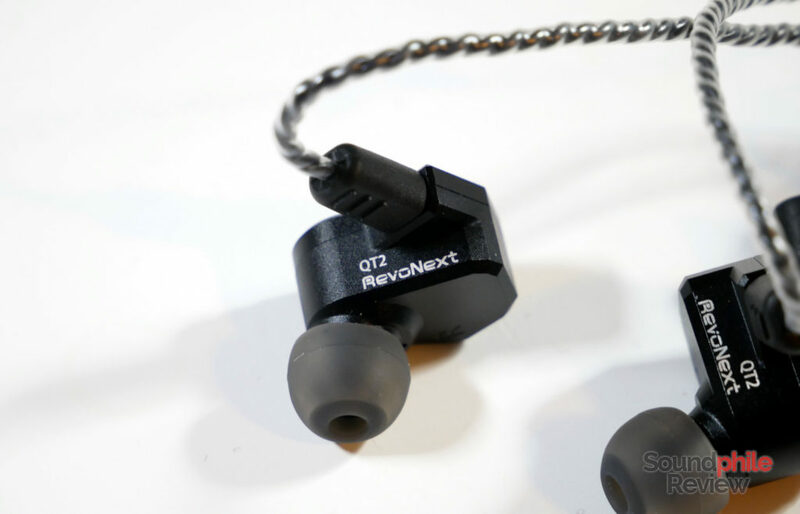 The RevoNext QT2s is identical to the QT2 in terms of design. This identity is taken to the point of the QT2s having the same “RevoNext QT2” etching on top of the shells. The main difference is the cable. 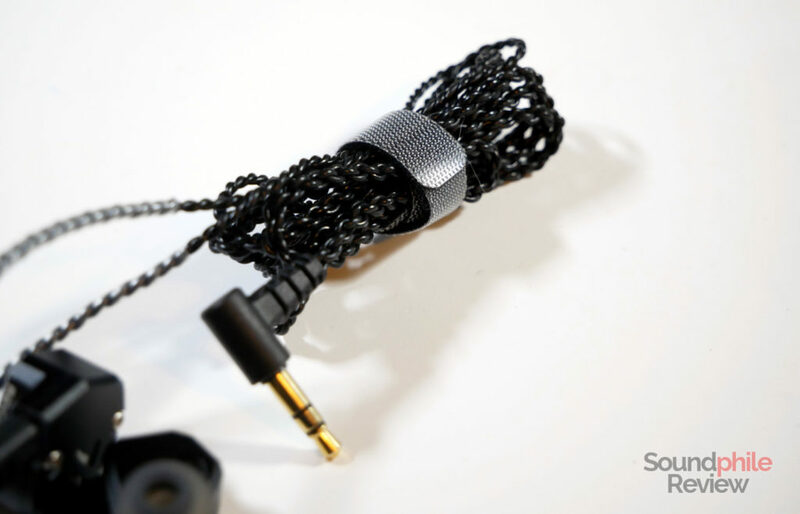 The cable is now in fact braided between the jack (which is now right-angled) and the Y-split, after which it is just twisted. There are four cores in total, that then split in two groups of two. There is also a chin slider to keep the cable tidy. This is such a better cable when comparing it to the QT2’s, as it is much less plasticky and less prone to kinks (though it does keep a few kinks, just less than the previous one). The “touch and feel” is much less that of a cheap cable, though it’s still leagues behind that of many aftermarket cables. When trying the RevoNext QT2s I used an iFi nano iDSD Black Label as a source. It was connected to my PC and played FLAC files in standard resolution. 100 or so hours of break-in were applied. Compared to the QT2, the RevoNext QT2s has slightly more present and extended treble – it is a bit more piercing and prominent than the QT2 and therefore a bit more like QT3 in this sense. That’s the only noticeable change, as all the other differences are otherwise very subtle and hard to hear. There may be a slightly increased presence in the midrange, but it’s so subtle it’s barely detectable. The QT2s are much like the QT2: they’re so similar that providing you with a more in-depth comparison would only mean writing “they’re the same” over and over again. Buying the RevoNext QT2s makes little sense if one already has the QT2: they’re basically identical. The only tangible difference is the cable, but that would not be worth the purchase alone if you already have the old version. On the other hand, if you would like to buy the QT2, I strongly suggest you to buy the QT2s as it offers a much nicer cable and therefore a better experience. Could you review the CCA offerings? I will review the CCA C16 in the coming weeks.